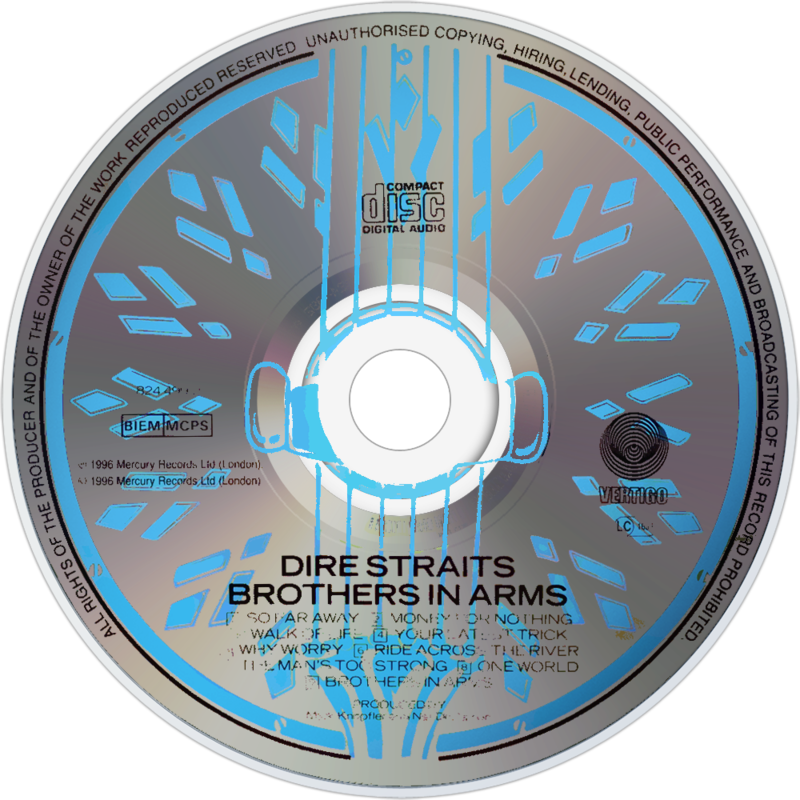 Brothers in Arms is the fifth studio album by the British rock band Dire Straits, released in 1985. 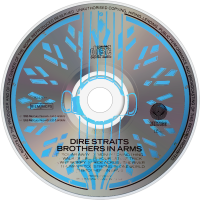 Brothers in Arms charted at number one worldwide, spending ten weeks at number one on the UK Album Chart (between 18 January and 22 March), nine weeks at number one on the Billboard 200 in the U.S. and thirty-four weeks at number one on the Australian Album Chart. It is the seventh best-selling album in UK chart history; is certified nine times platinum in the United States; and is one of the world's best selling albums having sold 30 million copies worldwide. 29 Million copies sold. Third best-selling album of all time in the UK. First album to succeed in the CD market, Grammy winning, earner of enough Platinum to build a house: Brothers In Arms is a phenomenon on every level. Its production raised the bar for all music to come, its songs and videos became household items. It also almost destroyed the band. By 1984, incessant touring and recording schedules hadn’t dimmed Mark Knopfler’s enthusiasm for perfection. Having taken over the production duties on previous album Love Over Gold, he now went even further towards a kind of pop-oriented Americana. 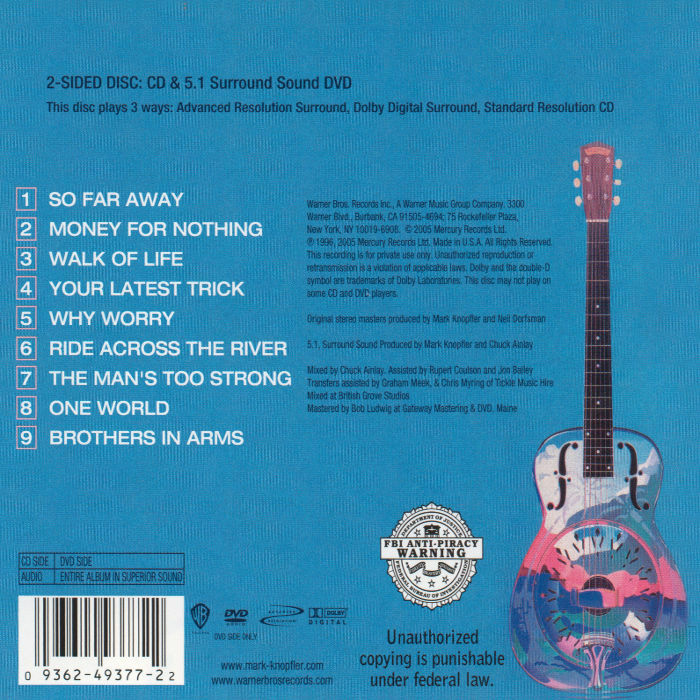 Brothers…has a fine array of chart moments, including, of course, the Sting-assisted video hit “Money for Nothing”, the moody “So far Away” and faux bop “Walk Of Life”. But it gets them out of the way in the manner of mere aperitifs and then massages you with a suite of Knopfler’s very fine brand of JJ Cale-lite. Along with gruff nods to Dylan and James Burton. Like contemporaries U2 they had the golden touch that made their gold instantly more American and mythical than most acts from the States. They toured this album for two years. After that amount of time surely any band would falter. They certainly had a very long hiatus. This album was bigger than them. On that final night of the tour in they must have never wanted to hear a note of this album again. Twenty years on, it’s still echoing around the world. As inescapable as ever.